I swear this wasn’t upside-down yesterday! Must have been a bad night out! 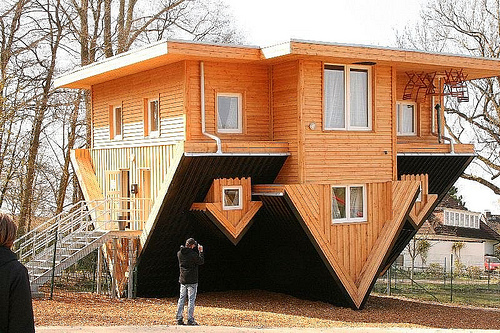 Then again this is one of the coolest upside-down houses I have seen. I know it is not great architecture but I can’t help but find some joy in seeing a house on its roof (not by natural causes).